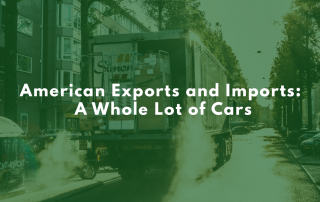 With recent stories of NAFTA’s renegotiation to form the new United States-Mexico-Canada Agreement, as well as an ongoing trade war between the U.S. and China dominating headlines in the past few months, the global trade landscape appears to be in a highly contentious period. Though trade wars are typically cause for concern and can even drag out over many years, the truth is that they’re nothing new here at home. Each of the last six decades can claim at least one noticeable instance on record of the United States being embroiled in a feud over an exchange of good, with the earliest instances even dating back a few centuries. 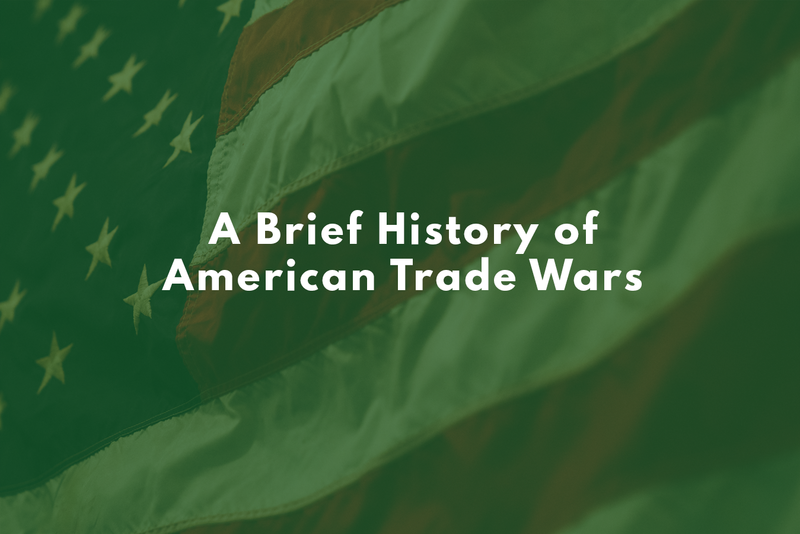 Let’s take a trip down memory lane to discover more about America’s role in some of history’s most notable trade disputes and, ultimately, what was the outcome of each one. Perhaps the most iconic trade battle of them all, The Boston Tea Party took place on December 16, 1773 in direct response to British taxation levied against a large number of everyday items in the American colonies — one of them being, you guessed it, tea. Led by a secret society dubbed The Sons of Liberty, a band of colonists disguised themselves and snuck aboard the ships Beaver, Dartmouth and Eleanor, dumping 342 crates of British East India Company tea — worth an estimated $1.7 million in today’s dollars — into Boston Harbor. The outcome: The Revolutionary War soon followed in 1775, but not before Britain’s King George III passed the Coercive Acts to close Boston Harbor until the tea was repaid, and shut down Massachusetts’ legislative assembly. In the wake of the 1929 stock market crash, Senators Reed Smoot and Willis C. Hawley raised tariffs on thousands of imported goods by an average of 40–48%. Seen as an attempt to prop up American farmers struggling from the effects of the Dust Bowl, an environmental disaster taking place in the Midwest, global trade plummeted by nearly 65% as a result of the Act. 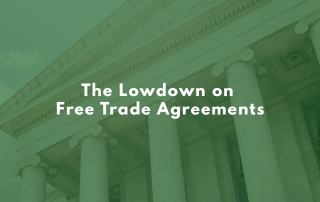 The outcome: Many economists and historians alike believe that Smoot-Hawley played a contributing role in the worsening of the Great Depression and the start of World War II, as it revealed the negative side of trade protectionism on the global economy. Following World War II, American poultry producers made the switch to factory farming, allowing them to mass-produce chicken and begin shipping it to Europe, among other places. France and West Germany, still both recovering from the fallout of WWII, didn’t take to kindly to this, so retaliated by placing tariffs on chicken imports from the United States. As American poultry producers felt the sting almost immediately, President Lyndon Johnson pushed back with 25% raises of his own on potato starch, dextrin, light trucks and brandy. The outcome: The chicken war grew legs and ended up affecting more than just the three countries primarily involved. Sales of light trucks from Japanese automakers, such as Isuzu and Toyota, failed to make a dent in the U.S. market. However, decades later, Japan, as well as NAFTA-exempt countries Canada and Mexico, found ways around the chicken tax. As Japan began to establish a legitimate challenge to America’s spot atop the mountains of industry and finance in the ’70s, the U.S. government began laying trade measures on thick in subsequent years. Though the battle raged on for two decades, two key moments took place at opposite ends of the ’80s. 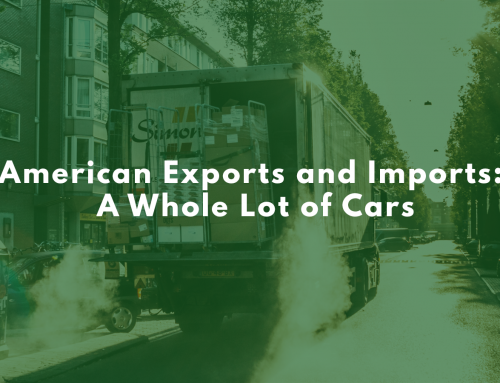 First, in 1981, after mounting pressure from ailing U.S. manufacturers, Japanese automakers agreed to enter a “voluntary export restraint” program limiting the number passenger car exports across the pond, even with tariffs already high. Then, in 1987, President Ronald Reagan doubled import fees on Japanese-made computers, televisions and power tools, in response to Japan not improving U.S. access to its semiconductor market. The outcome: Japan, ultimately, chose not to retaliate against President Reagan’s measures. Similarly, the 100% tariff increase capped off the United States’ failure to close the trade deficit gap coming out of the decade, which widened from $36 billion in 1980 to $170 billion in 1989. In order to limit the number of banana imports to Europe from suppliers other than those based in Caribbean colonies still under their rule, the European Union began imposing higher tariffs on Latin American banana producers in 1993. While the U.S. itself didn’t export bananas to Europe, American multinationals owned the vast majority of Latin American banana plantations — thus, the U.S. clapped back against the EU with 100% tariffs on Scottish cashmere and other European-made goods. The outcome: In 1997, the United States won a complaint filed with the World Trade Organization against the EU, instructing Europe to ease up on the tariffs. It wasn’t until 2009 that the EU began to comply and, eventually, the banana war came to an end in 2012. To try and boost the American steel industry, President George W. Bush brought forth tariffs of anywhere between 8–30% on imports, depending on the steel product. Tariffs on flat steel, for example, were set to start out at 30% and steadily decline to 24% and then 18%. 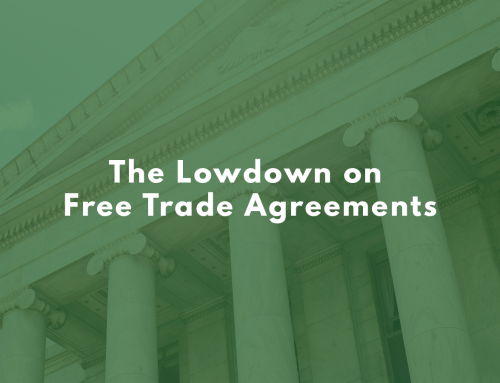 Canada and Mexico were exempt due to NAFTA regulations, as well as Jordan, Israel, and 75 other developing nations, meaning the brunt of these tariffs were felt by European countries. Naturally, they sought higher tariffs of their own — after seeking and being granted permission from the WTO, the EU applied fees similar to Bush’s to imports of Florida oranges. The outcome: Between the threat of further retaliation from Europe, frustration from businesses here at home and the WTO eventually ruling Bush’s tariffs illegal, the former president called them off after less than two years in effect. Even When Global Trade Partners Are in Flux, Your Customs Broker is Here for You! 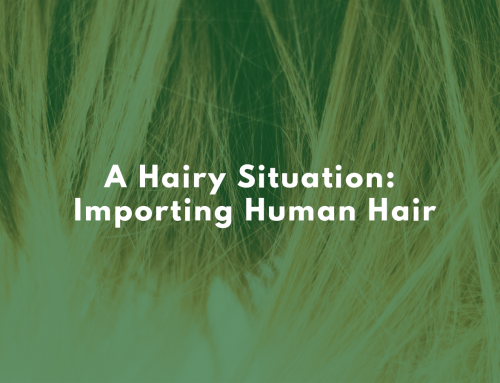 There’s no question that trade can be a tricky bit of business. With economic conditions always in flux, rules being adapted and exploited to take advantage of certain situations, and the looming threat of retaliations for any actions taken, the potential for disagreements is always ripe. The easiest way to know how the constantly changing trade landscape will affect you is by talking to a customs broker. 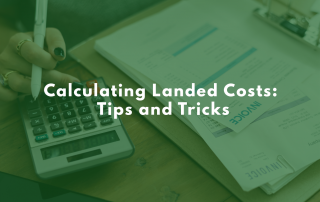 With extensive knowledge of international trade and customs law, you can stay in tune with the latest free trade agreements (and disagreements), tariffs and tax increases. Reach out to us today and find out how we can help!